I grew up spending lots of time with my grandma, who not only stocked prunes like a quintessential senior, but also brought home buttery prune-filled danishes whenever she visited San Francisco (along with fragrant loaves of fresh sourdough bread). As a kid, the pastries were a rare and dazzling treat: flaky, soft dough surrounding a gooey-sweet puree of rich fruit. Remembering them as an adult, I’ve long hoped to create my own prune dessert — and when I started seeing their fresh predecessors at the market this season, I decided it was time. Fresh and dried plums were destined to become a delicious duo. But I vowed to proceed with caution: I know prunes aren’t for everyone, and their reputation (ahem) tends to induce a giggle, despite their lesser-known popularity as a delicacy. So I’d be sure to showcase the fresh plums on the outside of my dessert and hide the dried ones in the batter. By steeping the prunes in vanilla then blending them with luscious maple syrup, I managed to create a flavorful, ultra-moist torte that’s free of refined cane sugar and makes as lovely a dessert as it does a breakfast or afternoon snack. What’s more: it’s been officially declared delicious by all sorts of tasters. Place prunes in a small saucepan and cover with vanilla and water. Simmer covered for 5-7 minutes, stirring once or twice. Remove lid and turn off heat. Leave uncovered to cool down a bit. Meanwhile, grease an 8″ cake pan and line the bottom with a circle of parchment (alternatively, simply grease and flour an 8″ springform pan if you have one). Rinse and dry the fresh plums, slice each one into about 10-12 segments, and discard the pits. Set slices aside. Preheat oven to 350 F.
Transfer the steeped prunes and any remaining liquid (there should be a small amount) into the bowl of a food processor; top with the maple syrup. Blend for about 2 minutes, stopping to scrape down sides of bowl, until a consistent paste has formed with speckles of prune no larger than raisins. Measure out 1.5 cups of the mixture; transfer to a large bowl (use any leftover as you wish). Add the soft butter and beat until evenly dispersed. Making sure the mixture is not too warm, add the egg and mix until incorporated. Into a separate small bowl, sift the flour, salt, and baking powder. 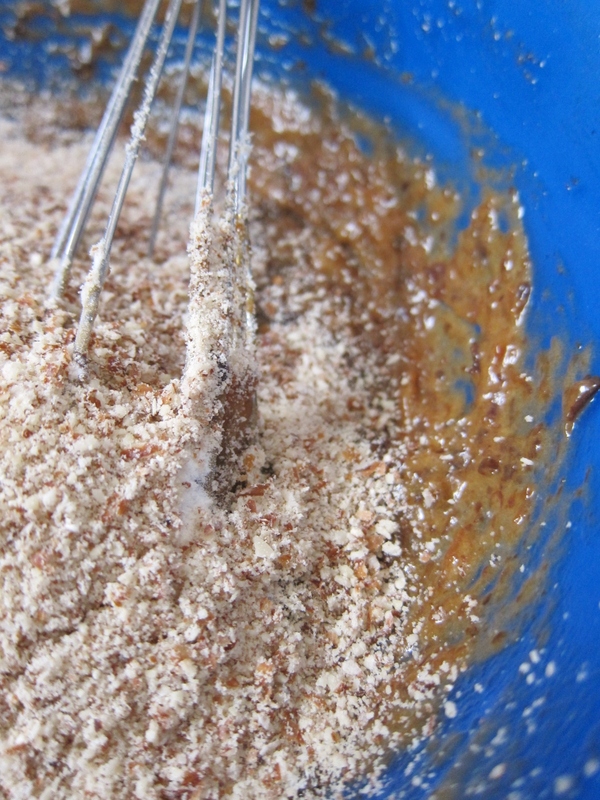 Whisk in the almond meal, stirring well, until even with no lumps. 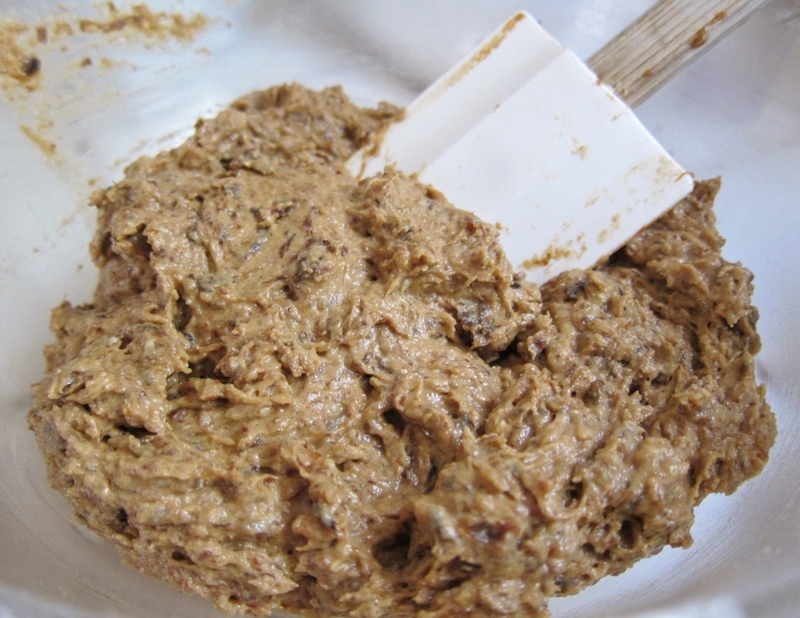 Add flour mixture to prune mixture, stirring until a thick batter is formed. Spread batter evenly into prepared cake pan. Arrange the plum slices around the edge of the torte with a few in the center. Cover with tin foil and bake for 20 minutes, stopping to remove foil and rotate torte. Continue baking for another 25-30 minutes (a total of 45-50 minutes), checking with a toothpick toward the end; the center should not be too wet, though a few very moist crumbs will be inevitable. Remove from oven and let cool completely in pan. If using a springform pan, remove sides to serve. Otherwise, loosen sides with a butter knife, then carefully flip the cooled torte onto a plate; remove parchment, and carefully flip again onto your serving plate. Slice and enjoy. This torte tastes best the day it’s baked, but can be covered and refrigerated for up to two days. Before eating, bring it back to room temperature or warm it slightly. With its fragrant maple-vanilla batter, this torte celebrates both dried and fresh plums in a single, succulent form. The tangy plum slices offer a burst of juicy flavor and vibrant color, while the dense, prune-rich cake is incredibly moist and naturally sweet. Having shared its slices with many tasters, I’m happy to say that it was enjoyed by all, from prune lovers to prune pessimists. I like to savor mine with a hot cup of coffee and a nod to my grandma, whose generosity with those delectable danishes is but one of the many ways she made my life sweet. Maybe next time… As mentioned above, this torte is very moist and the areas directly under the fruit have the texture akin to a nice steamed pudding. I found this delightful as did many of my tasters, but if you prefer a less moist cake, skip the plum slices placed in the center. Fresh plum, vanilla, and maple make this a flavorful treat, but a bit of finely zested orange peel could be lovely in the batter, or perhaps a pinch of minced herbs like rosemary or thyme. To make it dairy free, replace the butter with Earth Balance or the like. To make a gluten free version, simply replace the all purpose flour with a multi-grain gluten free flour blend, such as Bob’s Red Mill. This entry was posted in Sweets, Traditional with a Twist and tagged baking, breakfast, dried fruit, fresh plum, fruit dessert, maple sweetened, maple syrup sweetened, no refined sugar, plum cake, plum dessert, plums, prune cake, prune dessert, prune torte, prunes, recipe, sugar-free, sweets. Bookmark the permalink. Wow, it has been WAY too long since I have visited your wonderful blog! And you have made such a beautiful dessert again 🙂 Looks scrumptious! Oh, grandmothers and prunes–it’s such a common image, but one that tells only half the story since prunes, as you rightly say, really are delicious in their own right. This cake looks and sounds scrumptious; I like the combination of almonds, prunes and plums, and the maple syrup must also add an extra depth of flavor to what already appears to be a dark, fruity and fragrant cake! Thanks so much, Katy! I haven’t experimented with teff flour much, but I’ve eyed it quite a bit, and I gleefully accept your recommendation and expertise on the matter. The porridge sounds amazing, and baking with it sounds like a blast! Ah, yet another winner! I see you did the ol’ sneak attack with the prunes. This looks so beautiful though – I think the fresh plums add some nice color. Thank you, Johanna! I know you remember the danishes! Thank you, Brenda — Cheers! This recipe looks so delicious, Butter Sugar Flowers!! And it also looks so easy to make vegan, by using non-dairy butter and egg replacer! I am definitely going to try making this recipe this summer! Thanks so much, Erica! I welcome your feedback on the vegan version — your plan sounds brilliant!